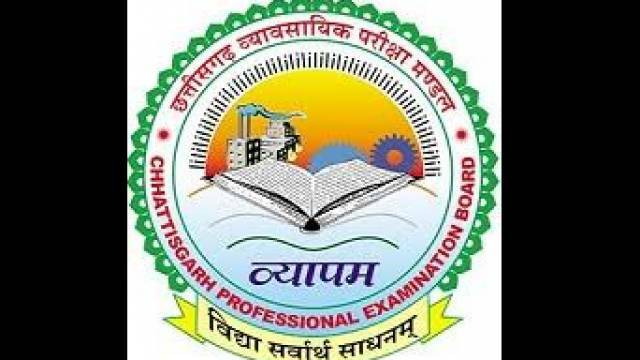 Chhattisgarh Professional Examination Board (CGVYAPAM), has issued an advertisement for the recruitment of 04 Posts. CGVYAPAM Recruitment 2019 will be held on Lab Technician Posts. Eligible aspirants can apply online on or before the last day i.e 24 Feb 2019. Interested aspirants are advised to go through the complete advertisement to know the recruitment process like important dates, age limit, details of posts, educational qualifications, selection process etc. Please check the advertisement notification for more details. How To Apply For CGVYAPAM Recruitment 2018: The mode of application is online. Interested aspirants may apply online through the official websites on or before 24 Feb 2019. Aspirants should read the complete advertisement for more details Keep checking the safalta education portal for more latest updates regarding job alert, result, admit card and Study Material for the exam. Selection will be based on Written Exam. Interested candidates should have Passed in B.Sc. Part -1 with Physics, Chemistry & Mathematics Subjects.